No More Taboos on Tattoos in the Kitchen! “Lydia The Tattooed Lady” from The Marx Brothers Greatest Hits by Groucho Marx & Bing Crosby. Released: 2011. In the old days, when I was growing up, I don’t think I ever knew anyone who had a tattoo, or at least one that was visible. Kids weren’t allowed to have tattoos at the schools I went to. On the other hand, perhaps there weren’t any rules about not having tattoos, as parents wouldn’t have let their children participate in anything so scandalous. 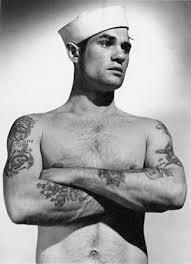 Tattoos were part of the seedy underworld of bikers, sailors and prisoners, or so I heard. No decent, law-abiding person would be seen sporting a tattoo. I do now recall that an early boyfriend of my sister had a tattoo on his right bicep, but it was the name of a previous girlfriend, which undoubtedly irritated my sister to no end. Today, tattoo taboos have long gone the way of the dinosaurs. Men and women of all ages sport tattoos, some very mundane (the heart with “Mother” on a banner), some extremely complex and colourful (like Rod Steiger in the movie, “The Tattooed Man”), and some downright scary. Why then, have so many chefs and professional cooks started turning their epidermises into canvases for art? And women chefs have jumped on the bandwagon as well, which you’ll notice if you’re a dyed in the wool Food Network fan, as I am. 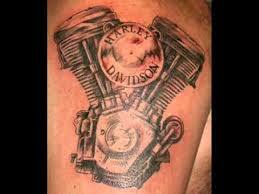 Are tattoos trendy and fashionable? Cool and “with it?” Or is it a fad, which, like Courreges Boots of the 1960‘s and tie-dye shirts of the early 70‘s, will fade into oblivion? But, how does one “undo” all of those tattoos if one should change his or her mind years down the road or if one’s new spouse is uncomfortable with your ex-spouses name on your chest? Long sleeved shirts? 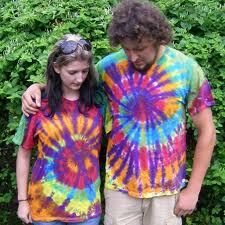 Numerous applications of lemon juice to bleach the colours? It strikes me that tattoos were intended to be permanent, sort of like a vasectomy, however, I have heard that a vasectomy can be “undone”, although I don’t care to investigate the details, thank you very much. Here then, is a gallery of photos of chefs with tattoos, gathered from a variety of internet sources. Enjoy the artwork! This entry was posted in Cookbooks, Cooking, Cooking and Social History, Food Fads, Food Trends and tagged Chefs, Cooking, food history, Food Network, Food Network Chefs, Sue Jimenez, Tattoos. Bookmark the permalink.